Mr Marcello Staricoff (England), Headteacher Balfour Primary School, Brighton and Associate Lecturer in Education, University of Brighton. This entry was posted in CTYI, Events and tagged conference, CTYI, education, gifted, Psychology on October 10, 2015 by Gifted Ireland. 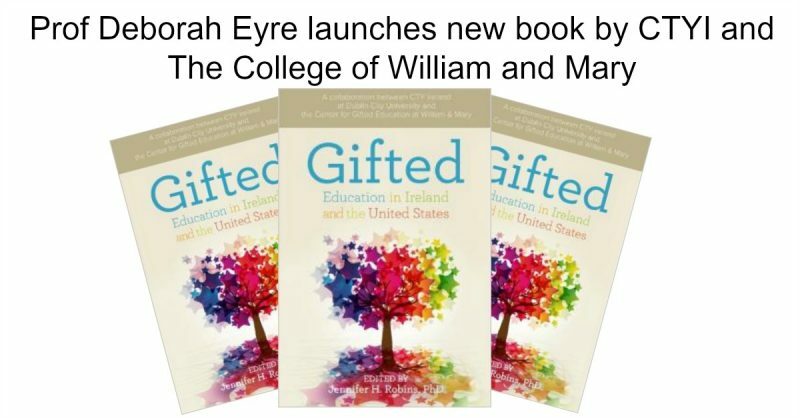 CTYI’s newest publication “Gifted Education in Ireland and the United States” was launched yesterday by Professor Deborah Eyre. Professor Eyre is an Honorary Professor at the University of Warwick and one of the world’s leading experts in gifted education. She is the author of many books and published research in the field of gifted education and has long been an advocate for gifted children. We had the pleasure of attending her presentation on Exceptional Performance and how we might create the conditions to support this in gifted learners in 2009 at CTYI’s conference of that year. We were looking forward to meeting her again and learning from her many years of experience. Before launching the book, Professor Eyre gave a talk for parents entitled “Working with Gifted Children”, an interesting presentation with some really great practical advice for parents. There was standing room only in the lecture hall as parents of students attending classes in CTYI took advantage of this opportunity to listen to an international expert in the field. Those present were then invited to attend the launch of the book at the conclusion of Professor Eyre’s presentation. 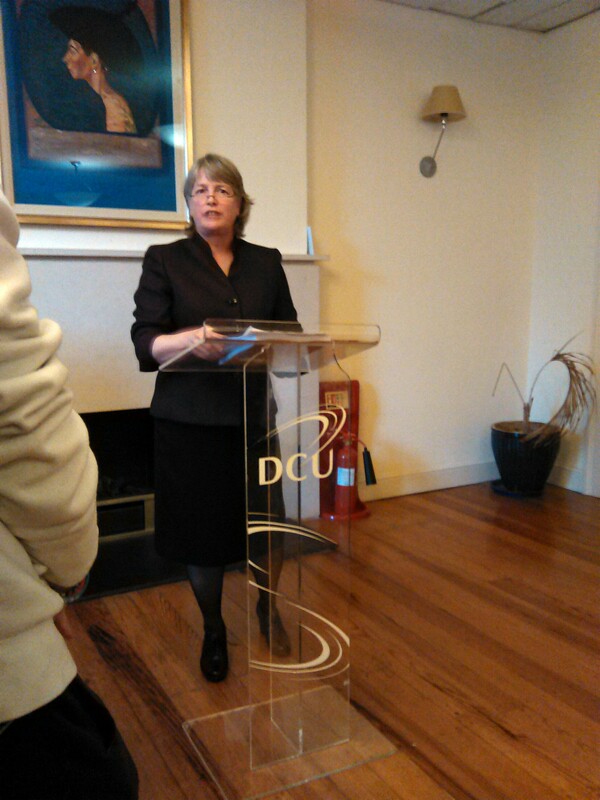 Moving proceedings to DCU’s 1838 Club, Colm O’Reilly first introduced Dr. Jennifer Cross who spoke briefly about the warm and productive relationship between CTYI and the Center for Gifted Education at the College of William and Mary in Virginia, before Professor Eyre took over the official duties. Launching the book, Professor Eyre said she was delighted to continue a long relationship with CTYI and spoke of the centre as a “beacon of excellence”, a sentiment shared by many in the wider gifted community. We were honoured to have been invited to the dinner which followed the book launch. It is always a pleasure to join the staff of CTYI and other colleagues working in gifted education from around the world. Yesterday evening we enjoyed catching up with old friends and new. It is a great credit to CTYI that they have forged such strong relationships with gifted experts and educationalists far and wide. We are part of a large community who work to improve the experiences of gifted children in our education systems. It is invigorating to meet others in the field and share news and experiences which we can bring to our own groups and schools. We are delighted to let you know that at the conclusion of the evening, Dr. Colm O’Reilly did us the honour of agreeing to become the Honorary President of Gifted Ireland. Gifted Education in Ireland and the United States is available through Amazon in paperback and Kindle versions. This entry was posted in CTYI, Gifted Education and tagged CTYI, education, gifted on March 22, 2015 by Gifted Ireland. The new term of CTYI Saturday classes is about to start and we thought we’d take the opportunity to remind you that this can be a great opportunity for parents to get together. Particularly for those parents who have to travel significant distances, it is nice to have company while waiting for classes to end. As many of you will have discovered, being the parent of a gifted child brings it’s own peculiar problems which can sometimes be difficult to discuss with other parents or teachers. Having the chance to chat to other parents who may have faced the same conundrums can be very helpful and reassuring. Sometimes, all that’s needed is to feel that you’re not alone and that your child is, indeed, relatively normal. And, let’s face it, sometimes a good vent or a rant to an understanding audience can make you feel so much better! 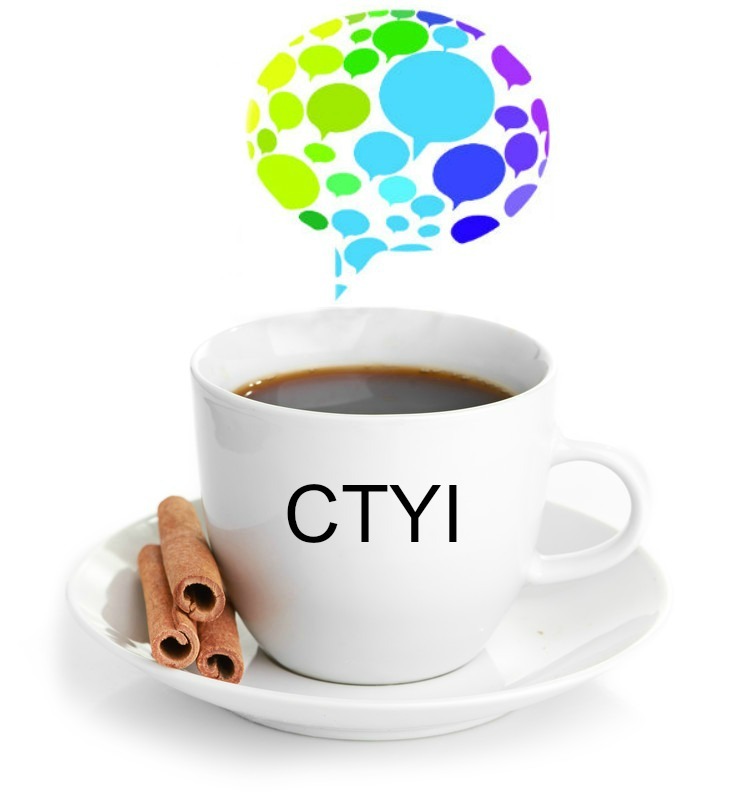 We are not in a position to organise coffee groups at every CTYI venue but we will help to facilitate these where possible. CTYI are also very helpful and supportive of these efforts. If you would be interested in taking part, check out our CTYI group page for further details of where there are groups and how to get involved. This entry was posted in CTYI, Support Groups and tagged CTYI, gifted, parenting, Support Groups on January 28, 2015 by Gifted Ireland. Yesterday we had the pleasure of attending the launch of a comprehensive report into gifted education in Ireland. In a groundbreaking study, Dr. Jennifer Riedl Cross along with her colleagues Professor Tracy Cross, Dr. Colm O’Reilly and Sakhavat Mammadov conducted a wide-ranging survey of teachers and principals beliefs and attitudes in relation to their gifted students. 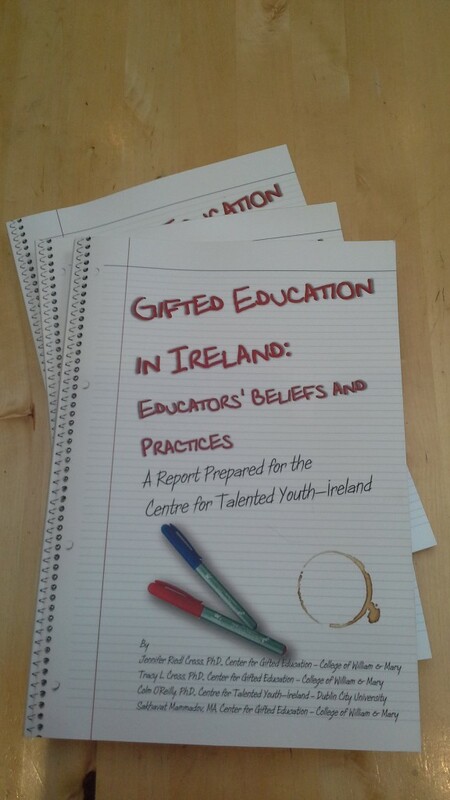 This is the first study of its kind in an Irish context and is an important step forward for those who support and advocate for gifted learners in Ireland. In order to ensure impartiality and objectivity, CTYI asked the Center for Gifted Education at the College of William and Mary in Williamsburg, Virginia to carry out the study. A total of 470 teachers and 367 principals and other school staff took part by responding to the survey. The detail contained in the report sheds light on the experience of many of us and our children within the education system. For many years those of us who have been researching and advocating for gifted children have had our own anecdotal evidence of the attitudes to giftedness in our schools. Now, for the first time, confirmation comes from those who teach and interact with gifted students on a daily basis in an educational setting. The study verified that our teachers’ attitudes towards gifted students are largely positive although some persistent beliefs not supported by research remain. Most believe that gifted learners need modification to the regular curriculum in order to be adequately challenged and many agree that they are more likely to achieve at higher levels if they are given opportunities to work with similarly matched peers. However, a large number of teachers consider it challenging to provide this without more resources, smaller class sizes and further training. Among the most interesting aspects of the survey was the exploration of teachers’ own sense of efficacy in providing for their gifted students and their classroom practices. This part of the report is one to which we hope to return in more depth in a later post. CTYI have advised us that they will be happy to forward a copy to any interested parties. At more than 100 pages and a further 60 or so in appendices and additional information, we would urge anyone with an interest to do so. For those who would prefer an electronic copy, we are informed that one will be available shortly and we will post a link here. 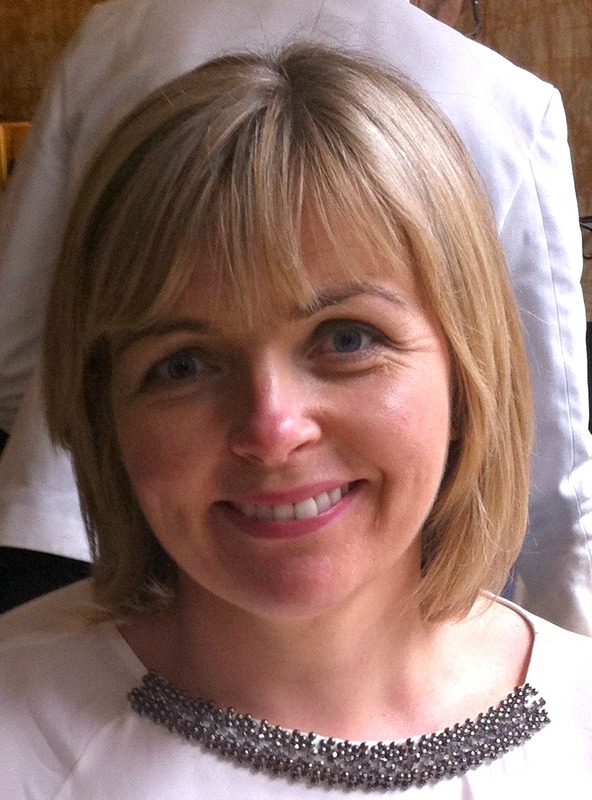 This entry was posted in CTYI, Gifted Education, Research and tagged CTYI, Dr. Jennifer Riedl Cross, education, gifted, gifted research, Ireland on December 10, 2014 by Gifted Ireland. As part of my MA in Guidance Counselling in University of Limerick I completed a 20,000 word research project. The title of my research project was “The role of the Guidance Counsellor in supporting Gifted Students in Post-Primary Schools in Ireland”. I chose to do research on this topic because as a practicing post-primary teacher I believe that this cohort of students is largely ignored in our education system. My research involved distributing a questionnaire to both guidance counsellors and gifted students. I asked both about their perception of giftedness and the support received from the school community with special remit to the support provided by guidance counsellors. 21% of the gifted students surveyed were unsatisfied academically in their schools and 18% found attending school as a very negative experience. On the positive side 82% found their experience to be either positive or very positive. 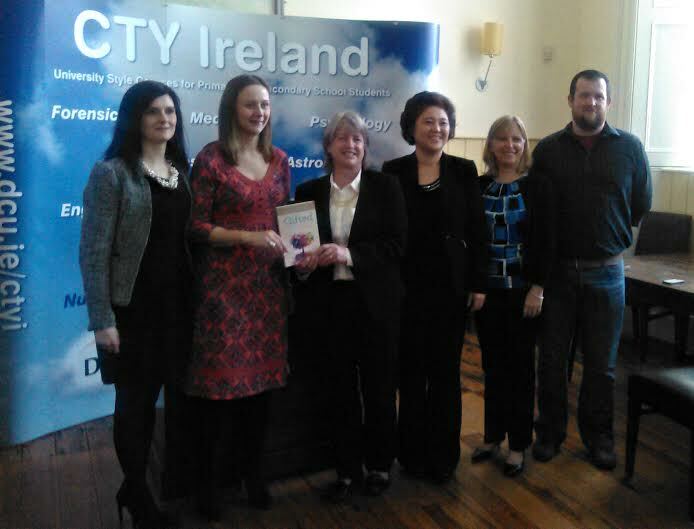 The CTYI programme in DCU was viewed in a very positive light by gifted students. Of those who had attended 100% reported they had gained academically, 94% socially and 72% emotionally. 54% of guidance counsellors believe that gifted students need specific types of intervention and 75% viewed giftedness as a special educational need, however only 19% of guidance counsellors have received training in this area. 14% of gifted students viewed guidance counsellors as a ‘strong support’ in the school they attend. It is possible that this low level of support is as a result of a lack of knowledge and understanding of giftedness on the part of guidance professionals. 53% of gifted students were ‘very comfortable’ with being labelled as gifted whilst 21% were ‘very uncomfortable’ with this label. 63% of gifted students who attended a meeting with their guidance counsellor benefitted from the discussion however, recent budgetary cutbacks (2012) in the area of guidance counselling have resulted in a 25% reduction of one-to-one guidance sessions. The guidance counsellor needs the time to support gifted students on the issue of ‘multipotentiality’ as 30% of gifted students reported getting stressed when they thought about their future careers. ‘Isolation’ from peers was cited by 41% of gifted students surveyed as being a major issue as was ‘disengagement’, which was experienced by 51% of respondents due to lack of stimulation in the classroom. Guidance counsellors have the skills to support gifted students on these social & emotional and educational issues but the problem is that there is limited time to meet with students on an individual level. From my research I believe that all teacher training colleges should provide a module on teaching gifted students. Also each school needs to develop a policy on giftedness in their schools. From my research only 19% of guidance counsellors had a policy in their school. Policy change is required from the Department of Education beginning with recognising giftedness as a ‘special educational need’. Each school needs to develop a policy on giftedness. Training is required to educate the school community on the needs of gifted students. I would like to take this opportunity to thank all those who participated in my research by filling out the questionnaire. Without your honest feedback such valuable findings would not have been documented. A special word of thanks to Catherine Riordan and Karen McCarthy for their constant support in the conducting of this research. This entry was posted in Gifted Education, Research and tagged CTYI, education, gifted research, guidance counselling on November 10, 2014 by Gifted Ireland.